In the immediate days and weeks following a disaster, it may be difficult to assemble a quorum of the governing body to enact emergency authorizations organizing and directing initial recovery efforts. This briefing paper details an action a community can take in advance of a disaster. 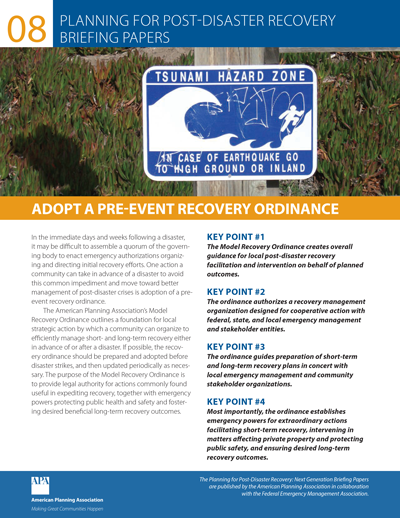 Adoption of a pre-event recovery ordinance can help overcome these difficulties and move the community toward better management of post-disaster crises.